Biodiversity Conservation Madagascar protects habitat and provides employment to local communities to help save lemurs across Madagascar. Biodiversity Conservation Madagascar (BCM) was established in 2002 as the conservation arm of Bioculture (Mauritius) Ltd., a for-profit company that provides most of its funding. BCM’s main goals are to conserve threatened forests in east and west Madagascar that are of high biodiversity value, especially those rich in lemur species. BCM currently works in the 2,400 hectare lowland rainforest in Sahafina (east Madagascar) and the Beanka dry deciduous forest in the Maintirano region (west Madagascar). What lemur species does BCM protect? How does BCM protect lemur habitat? BCM manages the conservation of two forests on behalf of the Malagasy government through “Conservation Leases.” Since 2003, BCM has been responsible for the protection of 2,400 hectares of humid low altitudinal forest in eastern Madagascar. In 2007, BCM started managing a second site—the Beanka New Protected Area in Western Madagascar. This 17,000 hectare forest is of significant ecological value and harbors a rich diversity of plants and animals. BCM is currently working to secure long-term protection of these two sites. Through the establishment of a forest guard, BCM aims to reduce lemur and large mammal hunting at their study sites by 10% in ten years. One of BCM’s primary approaches to forest protection includes the use of conservation payments to local communities. This program ensures that communities receive direct material benefits in exchange for supporting ongoing conservation projects. 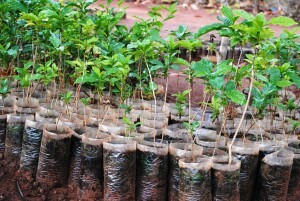 For example, BCM employs 35 plant-nursery attendants, forest guards, and local site managers. 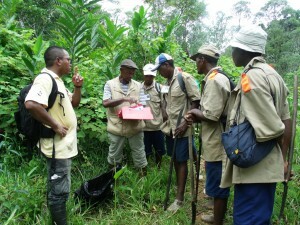 Biodiversity Conservation Madagascar also implements the following programs in partnership with local communities. To alleviate pressures on the forest, BCM manages the growing and planting of Eucalyptus trees, which provide a good source of fuel and construction materials for local communities. Eucalyptus trees—due to their ability to grow quickly and without a lot of water—are an ideal replacement for the precious and slow-growing hardwood trees that have been traditionally cut down by Malagasy communities. BCM has also helped plant fruit trees in local villages to provide a secondary source of food and income to the local people. 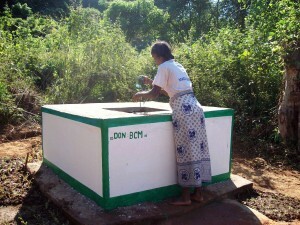 BCM has provided the materials for local communities to build four water wells. This is of considerable importance as it helps assure a continuous water supply for the local community. 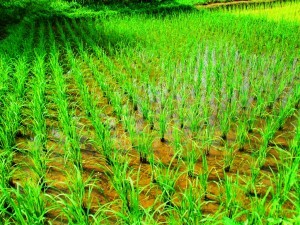 BCM has trained local communities on how to effectively grow vegetables and to improve their rice growing techniques. Donations are currently not available online. Contact Biodiversity Conservation Madagascar at aniainodna@yahoo.fr to learn more about donating.